LACASA Chicago is pleased to announce a new phase in the consolidation of its series of key publications on Central American Cultural and Literary Studies (CAS). We seek to (1) to publish significant work in the field; (2) to consider listing and helping distribute other relevant works published elsewhere; (3) to recommend and/or place manuscripts with other larger publishers. Please contact Marc Zimmerman of LACASA at mzimmerman@uh.edu with any proposal. la resistencia anti-golpista hondureña son capturados a través de ensayos, entrevistas, relatos y testimonios, cuentos, poemas y fotografías. Con Sergio Ramírez y Oscar Martínez, José Luis Rocha, Mario Bencastro, Manlio Argueta, Carolina Rivera, y otros escritores destacados… Este es el primer dossier Centroamericano elaborado por la revista digital El BeiSMan con Global LACASA, de Chicago. La presente es una contribución clave a la continua lucha por la justicia y una vida mejor para los centroamericanos en su región de origen y en los Estados Unidos desde la década de 1970 hasta el presente..
Disillusion, ungovernability and transnational violence affecting the children at the border and other Central American refugees; the effects of the Mara Trucha and the drug traffickers; the role of women, of artists and writers; resistance to the Honduran Coup and other anti-democratic processes… Striking art work, gripping stories and poems, key reviews, interviews, videos, film, etc., in this volume featuring Sergio Ramirez, José Luis Rocha, Mario Bencastro, Manlio Argueta, Carolina Rivera, Oscar Mártinez and other key writers. This is the first Central American Dossier produced by the Chicago online Latino magazine, El BeiSMan with Global LACASA Chicago—a key contribution to the continuing struggle for justice and a better life for Central Americans in their original home region and in the U.S. since the 1970s to the present. subscriber/friend price: $10.00–plus $4.00 s/h. CAS 3. This is the English-language version of Rocha’s extended article, “Violencia, Asilo y Búsqueda de lugares ‘frescos’,” which appears in Joaquin A. Mejia Rivera, Gerardo Ballesteros y Josue Murillo coordinadores. Violencia, Derechos Humanos y Seguridad Ciudadana. Tegucigalpa: Editorial Casa San Ignacio / Editorial Guaymuras, 2014: 247-307. ISBN: 978-99926-739-8-0. © Alianza por la Paz y la Justicia (APJ). This complete English language version is Rocha’s own translation, augmented with photos of murals taken by Rocha, as well as several pictures, including the cover photo, which appear courtesy of Equipo de Reflexión, Investigación y Comunicación (ERIC), El Progreso, Honduras. _____Oscar Estrada. Honduras: Crónicas de un pueblo golpeado. A Honduran novelist’s brilliant day-by-day account of the Honduran golpe de estado of 2009. Co-published with Casasola. 2013.) ! ISBN 978-098-50-8258-1. Retail Price: $24.95; Special LACASA subscriber/friend price: $15.00–plus s/h. Version in English available on request. CAS 2. ____ Nicaragua in Revolution: The Poets Speak. The classic bilingual poetic collage history portraying the Nicaraguan Revolutionary process. Condition: New. Paperback. ____ Nicaragua in Reconstruction and at War. English language poetry collage history of the Insurrection and Reconstruction years in Nicaragua. Condition: New. Hardcover. ____El Salvador at War. English language poetry collage history of the Salvadoran struggle through peace accords. Condition: New-paper or hardcover. ____Guatemala: Voices from the Silence. English language poetry/testimonio collage his.tory of Guatemala. Condition: Used but in good condition. Paperback. “¿Adiós a la economía política? Problemas de parámetros, métodos y direcciones en la configuración de los estudios culturales centroamericanos,” Cuadernos de literatura (Colombia. Pontificia Universidad Javeriana). Vol. 19, No. 38 (2015): 33-43. http://revistas.javeriana.edu.co/…/c…/issue/view/883/showToc. Martin Granovsky. Interview of MZ about Sandinista Revolution (in Spanish). CLACSO.tv. http://vimeo.com/105918282. LASA Chicago 2014. 5/2014. 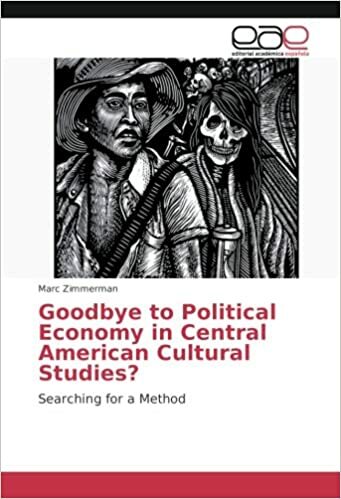 “Economy and Cultural Connections in Central America Today.” Forthcoming.